Rose gold office supplies, and rose gold office decor, are trending right now. 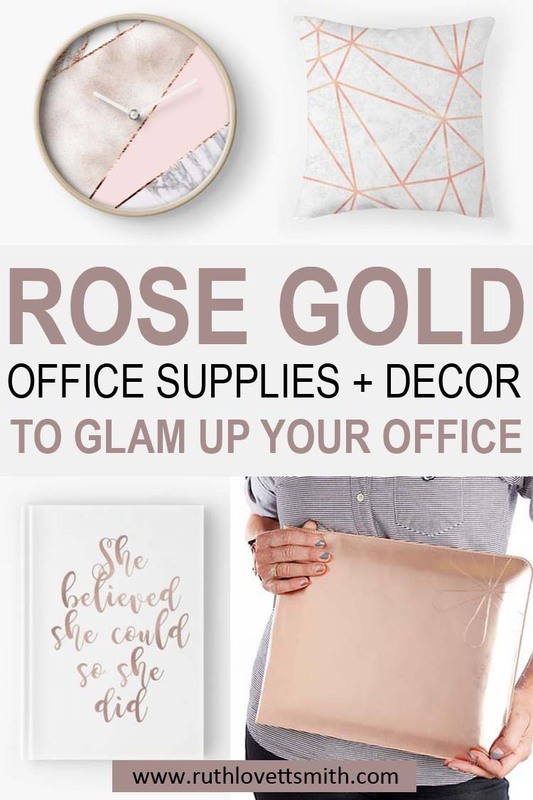 Organize your office today, with these gorgeous rose gold office supplies and rose gold office decor. An organized office is a space you’ll want to spend hours in. Increase your productivity with these gorgeous rose gold office supplies. Every office space needs a pretty journal or notebook. 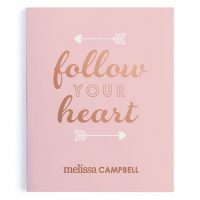 The Follow Your Heart Journal and Follow Your Heart Notebook are perfect for taking notes, making lists, or writing stories. 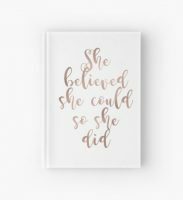 I especially love the She Believed She Could So She Did hard cover journal. 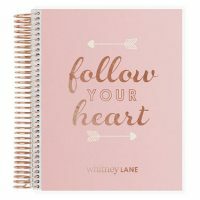 Click here for a variety of other rose gold journals. Equip your office with these gorgeous pens. 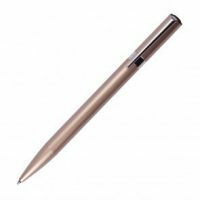 The Zoom Ballpoint Pen is simple, beautiful, and luxury pen; at an affordable price. I also love the Rose Gold Bling Crystal Diamond Pen Set. 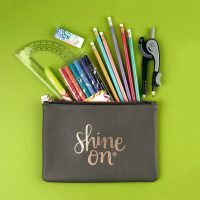 Clipboards are perfect for writing on. You can also use them to hang up documents or art work. 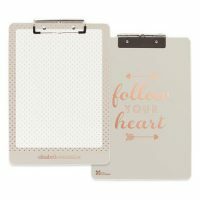 The Do What You Love and Follow Your Heart rose gold clipboards are inspirational, and would make a great addition to your rose gold collection. Take your rose gold look on the go with a new laptop case or sleeve. 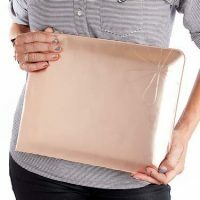 This Rose Gold Designer Laptop Case by Erin Condren is gorgeous. 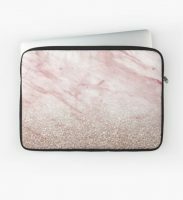 I also like this Ultra Feminine Rose Gold Laptop Sleeve as well. Click here for a large variety and collection of super modern laptop sleeves. 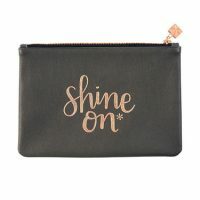 This adorable Rose Gold Metallic Quote Clutch is perfect for holding pens, pencils, and other supplies. Or use it as a makeup or travel bag, for business meetings and trips. 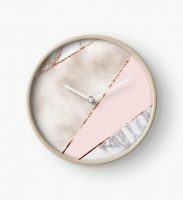 I am obsessed with the variety of these Rose Gold Clocks. They are super chic and modern. 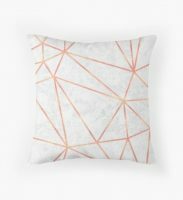 These Rose Gold Pillows and Cushions would be perfect for an office chair or sofa. Looking for some super cool wall art? These Rose Gold Prints are glamorous and affordable. Want to match your office? These Rose Gold Tees are perfect. I hope you love all of these rose gold office supplies as much as I do. If so, please share this post with your friends; using the social media buttons below. And don’t forget to check out my Business and Blogging Tips page for more business and blogging tips!